Bright Now! Dental has expanded availability of the OneSmile™ Dental Plan, a flexible alternative to dental insurance. With OneSmile, Bright Now! Dental aims to increase the availability of dental services and deliver significant cost savings, helping to ensure that affordable dental care is available to everyone. Nearly 40 percent of the U.S. population lacks dental insurance of any kind. Even those with insurance may be frustrated and unable to access the care they need due to low caps on services that traditional insurance plans cover. Under the terms of the OneSmile Dental Plan, members pay a low yearly fee to receive free exams, free X-rays and 20 to 40 percent discounts off all dental services, including cosmetic and specialty services. After enrolling in the plan, members simply show their member ID at the participating dental office to take advantage of the plan discounts. Membership is guaranteed. There are no restrictions on participation, regardless of a person’s age or conditions which existed prior to enrollment. The OneSmile Plan is not insurance, it is a licensed discount medical plan. To learn more, or to enroll in the OneSmile Dental Plan, visit https://www.onesmiledentalplan.com. Based in Irvine, California, Smile Brands Inc. is one of the largest providers of support services to dental groups in the United States. Smile Brands Inc. provides comprehensive business support services through exclusive long-term agreements with affiliate dental groups, so dentists can spend more time caring for their patients and less time on the administrative, marketing and financial aspects of operating a dental practice. 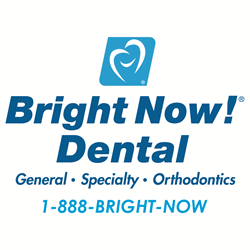 Smile Brands supports approximately 400 Bright Now!® Dental, Monarch Dental®, Castle Dental®, A+ Dental Care, OneSmile Dental, Johnson Family Dental and P3 Dental Group offices in 16 states, including Arizona, Arkansas, California, Colorado, Florida, Indiana, Maryland, Nevada, Ohio, Oregon, Pennsylvania, Tennessee, Texas, Utah, Virginia and Washington. Smile Brands is a portfolio company of Gryphon Investors, a leading middle-market private equity firm based in San Francisco, CA. For more information, visit http://www.smilebrands.com.